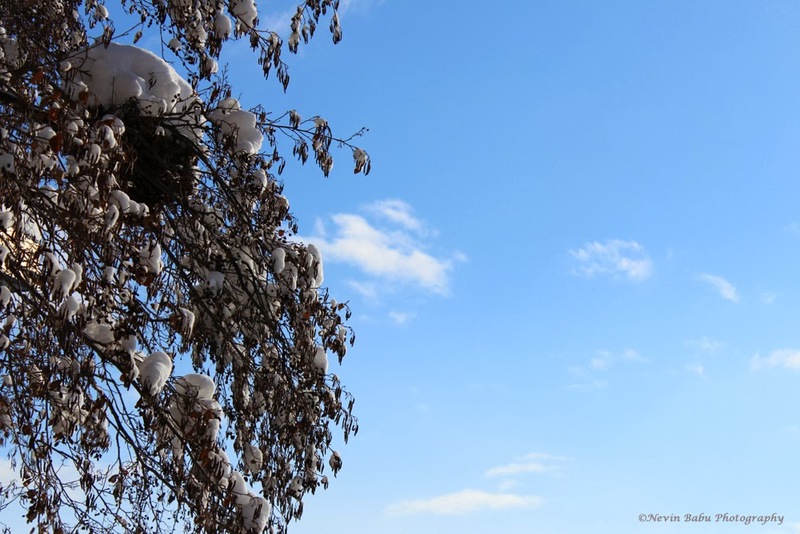 Home » Nature » New Year » Snow » Winter » Blue skies at last in 2014! First view of blue skies in 2014 after the snow fall ceased in Chicago. Thanks for stopping by Linda! It wasn't warm! Atleast was happy to see some bright skies :) Actually it went worse again, temperature went as low as -13 degrees today! Beautiful clear blue skies, Nevin. Is that snow that I can, on the tree? Thanks Arti, yes it is snow in the tree, this was taken after hours of snow fall stopped.